Pune-based Pharmarack Technologies Pvt. Ltd, which provides software-as-a-service applications for automated order processing and inventory management to pharmaceutical retailers and distributors, has raised Rs 5 crore ($745,000) in its pre-Series A round of funding. The Patni Group's Currae Healthtech Fund and existing investor Unicorn India Ventures participated in this round, Pharmarack co-founder Pradyumn Singh told TechCircle/VCCircle. "We are in advanced stages of closing a Series A round with marquee VCs. However, due to surging order books and to on-board strategic investors, we have closed a bridge round," he said. VCCircle had first reported in May that Pharmarack was in talks with investors to raise its Series A round of investment. 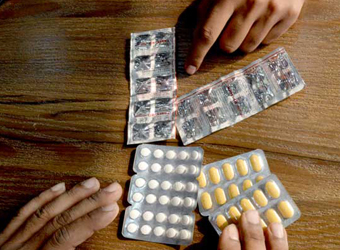 Pharmarack has 6,500 retailers on board and claims it is processing Rs 50 crore worth of transactions a month. The startup enables supply chain marketing and makes it easier for companies to speak with their stockists or retailers while also helping them with automation of operations of product launches. Singh said the company's applications have helped clients bring efficiency in their processes, increase revenue and reduce costs. The company was founded in September 2015 by Singh, Kushal Bhandari, Anupam Sarawagi and Bhavik Parmar. Singh earlier worked at Tata Asset Management, ICAP India and Sunidhi Financial Services, while Bhandari worked at Dalal Street Investment Journal. Sarawagi founded hyperlocal delivery startup 9monks and Parmar had worked at Capillary Technologies before starting Pharmarack. The company had earlier raised seed funding of $280,000 from Unicorn India Ventures and a Mumbai-based family office. Anil Joshi, managing director and founder of Unicorn India, said Pharmarack has "outperformed" its expectations. "It needed funding much before we anticipated. While it is in an advanced stage for a Series A round, we felt a need for interim funding to support growing demand," he said. Unicorn India is an early-stage venture fund focussed on tech startups. It has also invested in GrabonRent, Inc42, Roder and VanityCube. The fund achieved its first close of $6 million (Rs 40 crore) in December last year. Currae Healthtech Fund was founded by Apoova Patni, son of Pati Computer Systems co-founder Ashok Patni. It focuses on investing in startups working on medical devices, online marketplace models, tele-medicine, and mobile health and data analytics in the healthcare sector. Apoorva Patni said Pharmarack is helping create value for companies in the entire supply chain of pharmaceuticals distribution. The fund has earlier invested in startups such as BabyChakra, Mapmygenome, PlexusMD and Allizhealth. The Patni Group also runs the Currae chain of speciality hospitals focused on eye care, mother and child care and orthopaedics.